Gov’t reiterates intentions to prop up irrigation farming. Namibian Chickens are vegetarians, what do imported chickens consume? 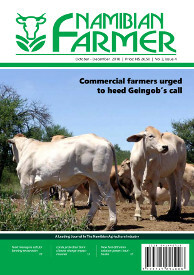 The Namibian Farmer Magazine is an agricultural publication based in Namibia, targeting Namibia and the whole of Southern Africa.